Destination weddings are becoming the best alternative choice if you desire a unique, classy and unforgettable wedding. If you want to have the wedding of your dream with less stress then you should think of having a destination wedding. 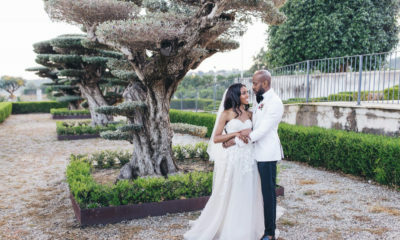 Some Nigerian celebrities who had their weddings in destination locations are: Tuface and Annie Idibia, Stephanie Okereke and Linus Idahosa, Tiwa Savage and Teebillz. 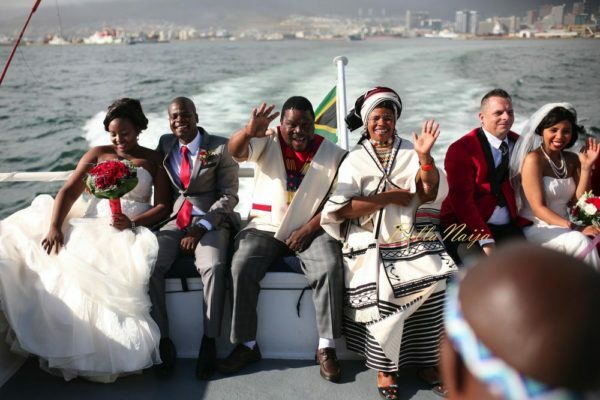 I also love people like Berry Dakara who chose to have a simple, but lovely beach/garden weddings. Here are top 10 reasons you should consider a destination wedding. Destination weddings is a great way to reduce your guest list. If you really want only your closest family and friends , the ones that really matter, then this is the way to go. 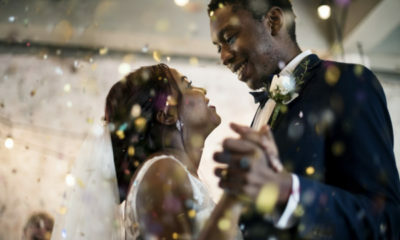 If you are scared of crowds or don’t want so much side attractions that shift focus from the couple to other goings on, go for a destination wedding. Nothing beats a simple wedding with just friends and family, maximum 50 guests. Uninvited guests won’t come for a destination wedding, so there is no fear of getting on someone’s bad side. How can one even attend if the transportation cost is more than the souvenir and food? Having a destination wedding can help save costs except you are the one paying for the flight tickets and hotel fees for guests. All that is required is for a guest to show up – no need to put yourself in a tight corner. In any case, no guest will request to mange your bed space,sleep on your couch, borrow your car, or give him three square meals. Your responsibility is limited to the wedding venue, after which every man is on his own. Depending on your power of negotiation, you can actually get huge discounts for accommodation, feeding and transportation for you and your guests. Everyone will be happy and consider your wedding as a well deserved vacation . Less time is also needed to plan a destination wedding. Once you decide on a venue and a budget, the rest will take of itself. Another added advantage is that you can change plans, change venues, at the last minute and still get away with it. Since the size of guests are small, decor is minimal, vendors are reduced, wedding planning is easier . Everywhere you look, there’s a Canon or Samsung S7 Moment waiting to happen. With picture-perfect views all around, and almost everyone camera-ready with their smart phones you won’t have to wait for your wedding photographer to capture the spirit of your event. This is very useful in case the wedding photographer turns out to disappoint you, or takes months to deliver the finished photos. At least you have backups and with natural aesthetic backgrounds. There is really no need to edit or Photoshop exotic backgrounds when a destination wedding is involved. The background is already lovely as it is. This is why the groom will fall in love with the idea of a destination wedding. There is no need to do coordinated outfits or stress yourself out with aso ebi issues. Casual, formal, laid back. You and your guests can choose a unique style of dressing that is not rigid or tending to conform with the norm. After all the reason for the wedding is to celebrate your happiness. You and your guests will love that! Dress as you want! You can wear the traditional bridal gown complete with a veil or a sarong or shirts and bum shorts. Just go with the flow. Be as lavish , comfortable and free as desired. Do you know shoes are optional too? Barefoot, rhinestone studded flip flops, heels, leather tongs…it is your choice. Well, if the bride, groom or their families are at logger heads on where to hold the wedding, “my” church or your church, this hall or that school ground, having a destination wedding is your best deal. It is a neutral ground that will bring both parties together and make them reach a mutual agreement. Most people relax and are less prone to start a fight when they are not on their own turf. You will definitely take a chill pill and be patient till you are back home. By then the differences might have been resolved, the wedding a success, fights forgotten and everyone is happy. If you love multitasking, a destination wedding is ideal for you. You can fill the wedding weekend with so much fun, play and enjoy every moment. Get a sun tan, have a honeymoon, take a vacation, explore tourist sites , visit local restaurants, meet new friends, learn a new language even if it is just the greeting words. By the time the wedding is over, you are glowing naturally, feeling refreshed, having added to your knowledge and expanded your world of possibilities. Destination weddings encourages a couple, especially the bride to be creative, design her own wedding themes, use more of D-I-Y creations for her wedding, choose her own personal styles and allow their personalities to seep through the wedding style. If you are fun loving, not afraid to take risks, the idea of having your wedding in a garden, on the streets, during a carnival will not be far fetched. If you love romantic, idyllic scenes, you can opt for a sunset beach wedding . Also instead of the common fabric decorations, you may decide to have a dominant garland, ballon or flower decor. In fact some couples may decide to have a picnic during the wedding. All guests sit on mats instead of tables. It is your wedding, be inspired! You can now say your wedding vows anywhere you want. Do you know you don’t need to go to Dubai, Hawaii, Panama Islands to have exotic locations? Lagos beaches in Epe, Lekki, Obudu cattle ranch,resorts, parks and luxurious gardens around Nigeria will also serve and costs less. You also get to share your favourite place and a locale that is special to you with your loved ones. It can be a former campus ground – the place you and your partner met, The world is at your feet. Begin to explore and see the possibilities. There is no pressure from friends or family members to do your wedding their way. Everyone recognises that by having a destination wedding, it is your choice and you want to have control over the how, where and direction of your wedding. The advice, solicited and unsolicited, proffered will be towards achieving your wedding goals. A typical Saturday Nigerian wedding lasts five hours, yet many feel the need to want to pack so much into it. Some couples have their engagement, court and church wedding same day and still manage to hold a reception afterwards. However, the day may not go as planned: program schedules go askew, Alaga (Engagement’s anchor) does overtime, Minister’s message too long, traffic holdup… delaying various vendors. The reception period is also spent moving from one table to another exchanging greetings, accepting gifts, dancing for few minutes, Mc is hassling Dj to stop music, families are hurrying caterers to serve food, the couple’s entrance go unnoticed, no one stands up, claps or dance at the appropriate moment. Once the guests have eaten, they are in a hurry to leave to beat traffic. Hall manger is threatening to switch off power supply. It is just another wedding in series of Nigerian weddings. Having a destination wedding will change that. All the invited guests would have made up their minds to share every special moment with you. It can span three days or more, but they will be there with you. Whoever attends is committed to spend the time and effort to be there for you. This means you have finally gotten your dearest and nearest ones together to kickback, relax and celebrate your special day with you. Instead of few rushed hours that passes in a blur, you get more days to connect and hangout with your family and friends. You have chosen to take the lead and be innovative. Yours is not the normal wedding; it is not following the norm wedding or a “Ka ri mi” (see me finish) wedding. You are not competing with anyone but your own standard. There is no pressure or a race for survival to fit in. There are so many weddings that go on nowadays, people have lost count on whose decor is the finest, cake the biggest, aso ebi is the most expensive, guest is the largest and so on. By having an out-of-town wedding, your wedding does not look similar to others – just because you used the same venue, same decorator or chose same colours. Wedding guests will long remember your event—it will be hard for anyone else to top it. Dare to be different. If you’re already considering a destination wedding, you can plan the details yourself with less fuss. Or you can engage the services of a professional event planner who can help you plan your dream wedding on a moderate budget, give you location ideas and help in negotiating for discount deals. Still not sure, because you don’t want anyone to feel offended or miffed? You can throw a post wedding party or better still, have your engagement party nearby and invite them. If they can’t still make it due to work commitments or some other reason, then I’m sure no one will hold it against you. No matter the amount of money spent in procuring clothes, venues, accessories, food, tickets, drinks, pleasing guests, makeup, extravagant or minimal, over the budget or within the budget, what matters most is life after wedding and staying married. Have fun planning your wedding! Connect, celebrate and enjoy more! I am not ready to lose my mum ?… can imagine her face when I say I want to do destination wedding in Greece ?.. nah.. her eleda will never forgive me. Sigh.when ur mum is the founding member of owambe parties, then u take the opportunity away from her to shine ?. Yay! By God’s grace mine would be a destination wedding. My Yoruba friend once told me Rivers weddings are like crusades!!!!!! Idinbilivit!!! For this to be coming from a Yoruba person says a lot about rivers weddings. I’m a kalabari girl. I missed an uncle’s wedding recently and my mom told me a LOT of people came, to the extent the hall was too small to contain everybody. My question to her was “na concert?”. So I went on to tell her that I just want 50 persons at my wedding, she just bluntly told me that it can’t work oo but if by any chance it would, that HER guests alone would be more than 30. Ehen?! What of my husband and father’s people nko and friends? She jokes too much lol. I just really really hope my husband would love a big wedding so as for her to invite the whole Asari-Toru and Akuku-Toru and Degema LGA. Cuz left to me alone, she would be so heartbroken……. Great article. I’m almost sold on d merits of a destination wedding but small correction in spelling Sir/Ma’am – “Bum shorts” not *bump shots. Otherwise, good job! Thanks dee, but I find out that bum and bump are used interchangeably. 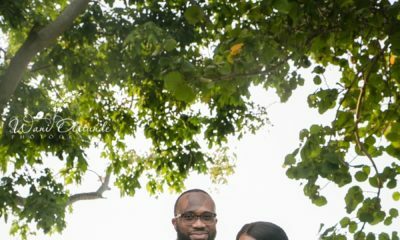 …..have always dreamt of a destination wedding with less than 30 guest ,It will remain a dream as my mama na chairlady of ‘I love gathering association’ . You can always have a large traditional wedding and a really small destination wedding. That way your mama and her gods will be pleased. LOL. Seriously though, that’s what I’m gonna do when the time comes.